With a span of 11.8 m (39 ft), this 2009 Sun Odyssey 39i offers a surprising amount of space below deck. 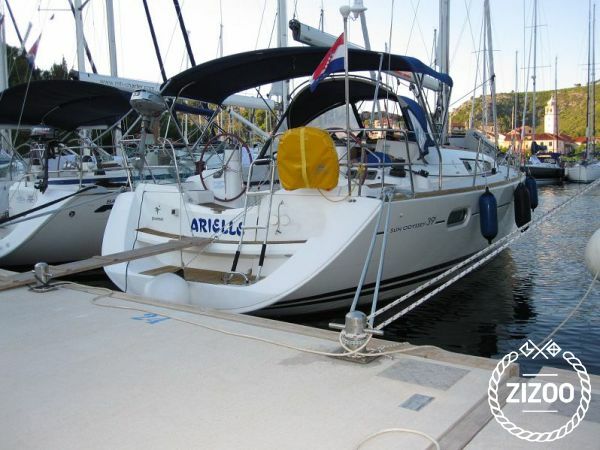 Accommodating up to 8 guests in its 3 double cabins, this lovely yacht is available to charter in Zadar, one of Croatia’s most beautiful cities on the Dalmatian Coast. An excellent, family-friendly cruiser, this yacht packs a lot of power both under sail or using its 1 x 40 HP engine and is a dream to handle. You’ll love island hopping from Zadar aboard the SO 39i. Follow our 7-day sailing itinerary from Zadar to explore some of Croatia’s most beautiful sites. Learn more about sailing this yacht in Zadar with our sailor’s guide.